The electric car (EV) market is in turmoil, now more than ever. Every day new brands are presented that promise a revolution or new electric models from century-old manufacturers aim to grab a slice of the market. And every time we talk about a "Tesla killer". Yet, you know what? Tesla is still alive and will be for a long time to come. Let's start with some examples. During the Los Angeles Auto Show, an unknown brand unveiled its EVs to the world. I'm talking about Rivian. With its R1S and R1T models, the American company aims to produce electric pickups that at first glance seem really competitive. Fast, powerful, capable of climbing slopes up to 45 degrees and with plenty of loading space. Rivian aims to mass produce the most expensive models by 2020 and the cheapest models by 2021. A 100% electric pickup? Rivian can take care of it. Although Rivian seems finally ready to officially launch its EVs on the market, we must not forget that the company has been operational since 2009 and has already broken promises made for the launch of previous vehicles, which never entered production. A familiar story in recent years. Faraday Future is another American startup that presented 100% electric models that should have destroyed Tesla. From the point of view of theoretical specifications it might be true, but we should remind you that to date (December 2018) no car has yet been delivered to buyers. The first pre-production model is dated August 2018. Lucid Motors is aiming for the premium market. The super luxurious EV Lucid Air was announced in 2016 and was supposed to be ready by the end of the year. However, it seems that Lucid Motors also has some small problems with mass production and has entered in an agreement with Saudi Arabia for its financing. The debut seems to be postponed to 2020. For Tesla, the real competition does not come from these start-ups that are not yet able to produce their own EVs, but from the more established brands in the automotive world. Although more conservative and risk-averse, it looks like famous brands are now ready to mount a counteroffensive. Better late than never! Despite the delay, classic auto brands have taken an interest in the world of 100% electric vehicles and expect their models to be on the market no earlier than 2020. 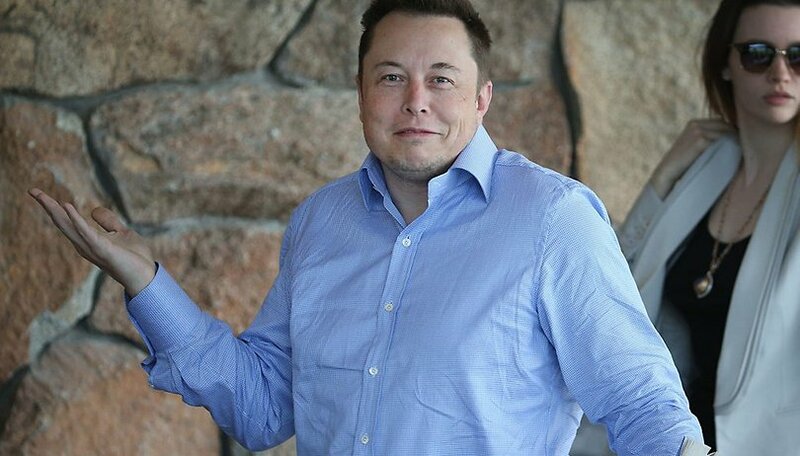 Well-known brands with established customer bases such as BMW, Audi, Volkswagen, Porsche, Toyota, Ford, Chevrolet, Jaguar, Mercedes-Benz (I could go on...) are certainly more frightening to Elon Musk's company. Not only do these giants have the financial resources, but they also have the staff and infrastructure to create competitive EVs. A hundred years of experience in the production of cars allows these manufacturers to create attractive and well built vehicles - both externally and internally. They can also afford to invest in new assembly lines, research and development, software and hardware engineers for the realization of innovative products. What makes Tesla the opponent to beat? First of all, the fact that Tesla was the first company to really focus on 100% electric vehicles. At a time when the greatest effort to reduce emissions of harmful gases into the atmosphere was on the shoulders of hybrid vehicles, Tesla decided to change the world of mobility. Not only has it presented innovative technologies for the manufacturing of electric cars, it has also made these technologies available to all free of charge. Musk's plan to produce expensive EVs to finance the production of the next models and lower the final price for users seems to work, even though the CEO recently admitted that the company almost went bankrupt because of the Model 3. While other brands are still deciding whether to launch into the world of electric vehicles or are looking for funds to start a series production, Tesla continuously expands its Gigafactory and increases production volumes to meet the high demand (which it cannot meet yet). Tesla also has something that other brands don't like: a widespread network of chargers, an advanced autopilot system and a lot of experience. It seems ridiculous to talk about experience if we compare Tesla with brands such as Ford or Volkswagen, but I want to remind you that the company has recently reached its billionth kilometer path with active autopilot: competitors can only dream of a similar amount of data for the realization of their own self-driving vehicles. Stealing a Tesla? Not exactly a good idea. The network of Tesla chargers, the so-called Supercharger, is well developed and widespread. In comparison, the competition can not yet boast of a system so widespread and ever-expanding. What is baffling is the reluctance of competitors to use these Superchargers. Tesla said that anyone can take advantage of the company's network of chargers because the basic idea is to revolutionize the world of mobility. Yet, it seems that no one is interested. Faraday Future, Lucid Motors, Rivian: none of the three take advantage of it despite nothing or nobody preventing them from doing so. So there is still a lot of work to be done to achieve Tesla's results in the industry, and I'm not talking about turnover (we know Musk's company struggles in that area). No one has yet managed to launch a car that is attractive, technologically advanced, with great range and price that can compete with Tesla products. No one has managed to fascinate consumers as Elon Musk's brands have. Of course, the competition is advancing fast, but Tesla certainly doesn't stand still and watch. Are electric cars really the future of environmentally friendly vehicles? Are you thinking of taking the big leap into the future? What brand are you watching? Let us know in the comments. The move to EV is definitely on its way. A 2 year old Nissan Leaf with low mileage can be bought in the UK for around £12,000 add to this the cost of a home charger at £150 and you are good to go. The cost of EV's rapidly becomes affordable for Joe Public.